Toptalers around the world are gathering to celebrate another successful year. 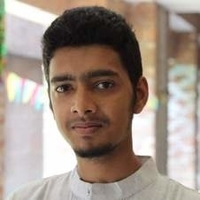 On December 8th starting at 1:00pm come meet fellow Toptalers, including Saif Bin Alam, Toptal’s Community Leader in Dhaka. Join your community as we share what we’ve learned and accomplished in 2018, and look forward to 2019. For questions, please contact Saif directly. Your message to Saif was sent.